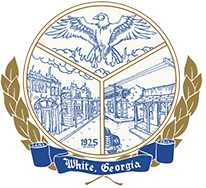 Announcing our 2nd Annual Spring Spruce Up Contest for the citizens of White, GA is coming soon. We have some fabulous prizes to give away!!! Deadline to enter and get your yard sign (for the judges to know you are in the contest) is April 19th. Your property will be reviewed by the judges on April 25th or 26th so you need to get ready and make sure your participation sign is displayed in your yard. There will be a cookout at City Hall Pavilion on April 27th starting at noon. Come by for lunch and to hear the winners announced! Get signed up at City Hall and make your neighbors jealous!!! !